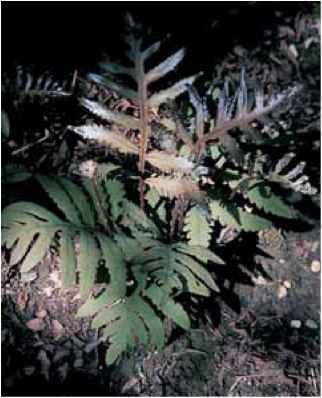 Epithet refers to the "sensitive" sterile fronds which turn yellow and die down at the first frost. Deciduous, 2 to 3 ft. (60 to 90 cm). Zones 2 to 10. Dimorphic. 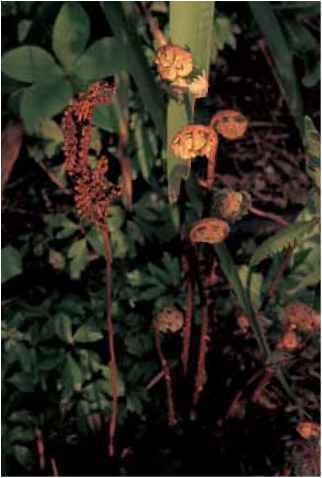 cm) appear in late summer and carry spores in a series of green beadlike attachments that turn dark brown and woody as they mature. The encased spores are released in late winter or spring (or when induced by an early harvest into a warm room). Like the spores of its close relative Matteuccia, Onoclea spores are green and should be sown promptly. Onoclea is impressively cold hardy although burdened by the name "sensitive fern." range and habitat: This species is native to North America east of the Great Plains states and covers wide areas especially in wetlands, but also along roadsides and in woodlands. it was supposedly the first fern introduced to Britain from North America, in 1699. Not surprisingly it has escaped. A handsome form with transient but strikingly reddish new growth and persistent red stipes is a personal favorite and is a worthy addition to any garden's fernery. If need be both types adapt to container planting which will accomplish precisely what the name implies, containment. The ephemeral rosy silver hues on the red-stemmed form of Onoclea sensibilis. Fresh spring fronds join the overwintering fertile fronds on Onoclea sensibilis in the Bellevue Botanical Garden. 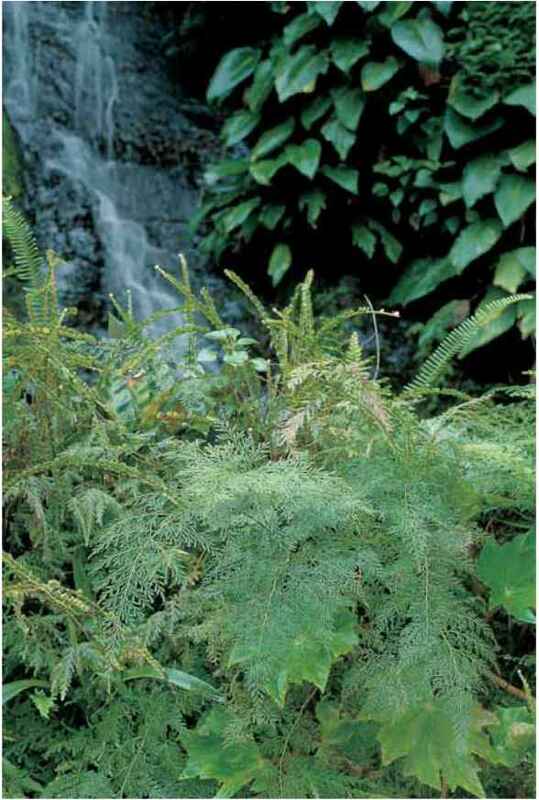 Onychium japonicum just above a clump of Begonia heracleifolia and just below tufts of that ridiculously skinny fern, Nephrolepis cordifolia 'Duffii', on steep terrain with a natural waterfall in the background. Photo by George Schenk. 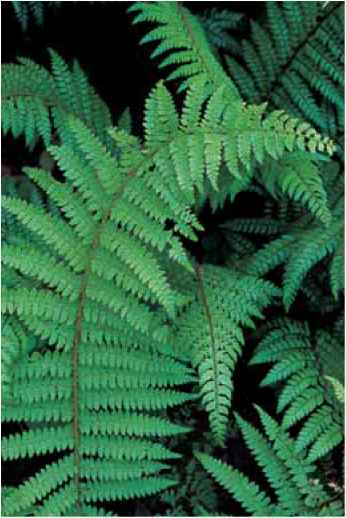 European specialists are growing a charming but difficult dwarf selection,'Nana', which has diminutive fronds ranging from 2 to 5 in. (5 to 13 cm) and offers potential as a hardy and handsome petite ground cover. Like so many interesting and rare plants it was introduced to cultivation by the late Zdenek Seibert of the Czech Republic. The slightly different var. interrupta occurs in the colder areas of Japan, Korea, Manchuria, and eastern Russia.